Discussing options for continuation of the projects and further cooperation. Welcome speeches were given by Alexander Matušek, President of the Automotive Industry Association, Peter Kompalla, Managing Director of the German-Slovak Industry and Commerce, Jaroslav Holeček, Expert of the Automative Industry Association and Prof. Dr. Wolfgang Schuster, Chairman of the European Foundation for Education. Mr. Matušek, hosting the Steering Committee and the Partner Meeting pointed out the alarming fact that 57% of graduates in Slovakia are not working in the field they studied, depicting the issue of mismatch between education and labour market demands. Mr. Kompalla said that the pilot activities in Slovakia were very successful and quoted Goethe “From all the things we learn, we only keep what we learn in practice” to stress the relevance of the development of professionally oriented study programs. 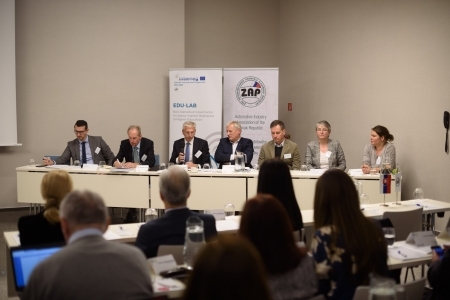 Mr. Holeček also emphasised the need for change in the Slovak education system, and finally Prof. Dr. Schuster emphasised the importance of sustainability of results regarding the EDU-LAB project. 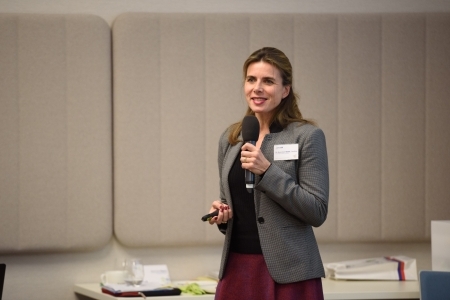 Dr. des Ágnes Sebestyén, Project Director (European Foundation for Education), presented a report to the Steering Committee regarding the progress of the implementation of the project. Finally, Dr. des. Sebestyén invited the Quality Assurance Manager, Prof. Dr. Livia Ilie to present the quality report of outputs delivered within the 3rd and 4th period and the partners in charge of work packages 5, 6 and 7 to present their progress reports. The gap between the offers of higher education and the labour market demands was created because universities were less under the pressure of competition and were heavily financed by the government, according to Prof. Dr. Ilie. “As universities, we started to fight for students and funds and our mindset is quite changed. Hopefully we will reduce brain drain and increase competition in the region”, she said. Prof. Dr. Ilie also pointed out that most major outputs of the projects have been finalized, she underlined the high quality of the outputs and congratulated to all partners. 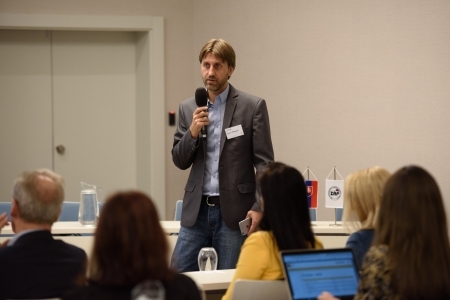 Prof. Dr. Lukacs Pal from the John von Neumann University presented the progress report regarding work package 5, including the introduction of new e-learning materials on implementing dual study programmes and presented the agenda for the next EDU-LAB partner meeting in Kecskemet. 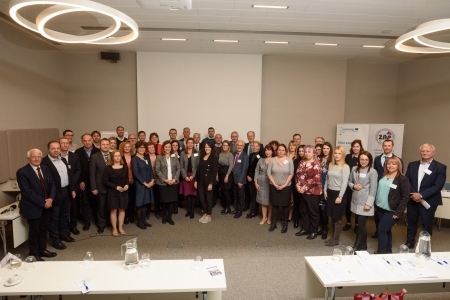 Then, the work package 6 meeting led by by Željka Šenkovič of the German-Slovak Chamber of Industry and Commerce focused on discussing progress reports on pilot activities. Project partners from Bulgaria, Serbia and Slovakia presented the current states of their pilot activities, all highlighting the fact that the demand and interest is there regarding the introduction of dual study programmes, particularly in certain sectors, such as the automotive industry in Slovakia. Finally, the preparations for EDU-LAB`s final event in Zagreb on 15-16 May 2019, led by Caroline Hornstein Tomic from Knowledge at Work Foundation were discussed. 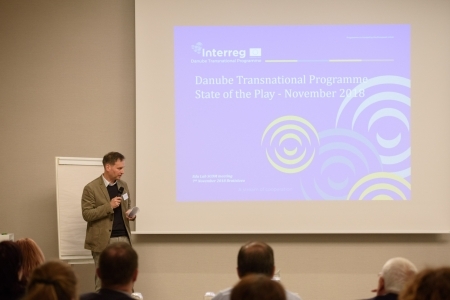 The next and final Steering Committee Meeting will also take place during the final event in Zagreb. After having agreed on the agenda and key deadlines, partners had the chance to take part in a plant tour at Volkswagen Slovakia. The company takes part in the Slovak pilot project and during the visit, a detailed presentation was given on their involvement in the pilot activities, presented by Mr. Holeček, Expert of the Automative Industry Association.